Walking down the aisle isn’t cheap. The average cost of putting on a wedding is now approximately $30,000, according to a survey by the Knot. Also not cheap? Attending a wedding. 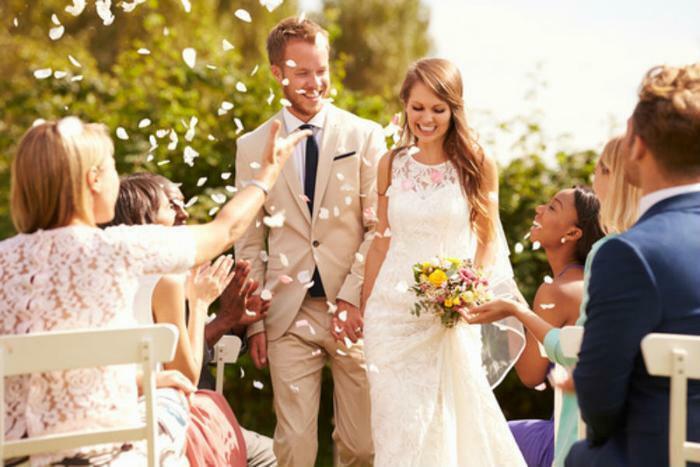 Between clothing, travel, and other wedding related expenses, new research shows that the average American will be $703 poorer after attending a wedding. And they’ll spend even more if they’re in the wedding party. The closer you’re standing to the happy couple when they say “I do,” the more you might be spending. While wedding guests shell out an average of $703 for a wedding, those in the wedding party will spend an average of $743 (a $42 increase since 2015). When it comes to how much you'll spend on a wedding gift, whether or not you're related to one of the soon-to-be spouses makes a difference. New data shows that friends spend an average of $99 on a wedding gift while family members spend $127. But what about millennials? They tend to do things a little differently, after all. As it turns out, millennials will spend about 27% more than the average person to attend a wedding. Millennial guests are expected to spend $893 to attend a wedding in 2016, while millennials who are in the wedding party will drop $928. Both of these averages are a fairly large increase since last year, according to an American Express spending report. In 2015, the average millennial wedding guest spent $720, and it cost them $747 to be in the wedding party. How much should your wedding gift cost?